More than 3 million Americans have epilepsy, according to Citizens United for Research in Epilepsy. Epilepsy is a diagnosis that some people are given when they have multiple seizures. Therefore, if you have only one seizure you do not have epilepsy. Isolated seizures or recurrent seizures (epilepsy) are caused by many different conditions. Conditions that may cause seizures include brain tumors, head injuries, alcoholism, electrolyte abnormalities (low sodium or very low blood sugar), congenital disorders, and more. Seizures can have a serious impact on the quality of life, and although they can sometimes be controlled with prescription medications, those prescriptions often have undesirable side effects. In response, patients are turning to CBD and noticing a significant reduction in seizure frequency. Seizures are caused by nerves in the brain firing in an unusual way. This causes an imbalance between excitatory signals and inhibitory signals, and the excitatory signals take over, which spreads to surrounding cells. More and more cells begin firing abnormally, and this excitation causes seizures. In other words, seizures are caused by a disruption of homeostasis. When there is a loss of neurological homeostasis, or loss of balance, in the brain, seizures may result. Both CB1 and CB2 are found throughout the body. Studies confirm that the endocannabinoid system plays a central role in responding to seizure activity. The marijuana biological process happens due to its impact on the endocannabinoid system. CBD, one of the primary compounds in medical marijuana, acts on both CB1 and CB2 receptors, promoting homeostasis and restoring balance. This reduces abnormal electrical activity and reduces seizures. 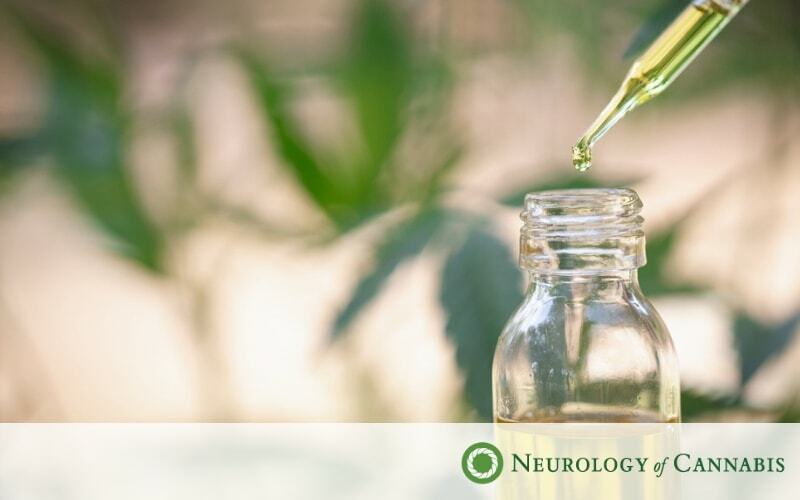 Many patients use CBD-only preparations to treat seizures with success. Epidiolex, the first FDA-approved prescription medication derived from cannabis, is a CBD oral solution. There is also some promising research that shows that whole plant preparations may be even more effective in reducing seizures. A study in the journal Epilepsy & Behavior showed impressive results in patients who used artisanal (whole plant) cannabis preparations. Seventy-one percent of the patients in the study experienced a 25 percent or higher reduction in seizures. Thirty-eight percent experienced a 76 percent or higher reduction in seizures. This improvement may be due to the entourage effect, which is a term that refers to the beneficial impact of using whole plant preparations. CBD may work best when it is not isolated from the other compounds in medical marijuana, such as THC, which is how it is found in nature. An experienced medical cannabis doctor can work with you to determine the best preparation of cannabis therapy for seizure control. Oral: These include capsules or liquids which are swallowed and oral sprays/tinctures, which are absorbed under the tongue or inside the mouth. Inhalation: This is the best-known way of administering marijuana and includes vaping or smoking. Vaping is a safer alternative to smoking and allows for inhalation of plant cannabinoids by heating (but not burning) the plant materials. Topical: This includes lotions, creams, and patches, which are applied to the skin. The right method of administration depends on the age of the patient and their individual preferences and needs. To determine the right administration method for seizure control, it is best to consult a medical marijuana doctor who is familiar with how the brain works and how cannabis impacts the brain. Seizures can impact your quality of life. Medical cannabis can help, but it is hard to know what options are best. Dr. Daniel P. Stein at Neurology of Cannabis is uniquely qualified to help. He has over 25 years of medical practice experience and is board certified in extensive training in neurology. He has in-depth, specialized knowledge of how the brain works and how medical cannabis can help reduce seizure activity. Dr. Stein takes the time to talk personally with his patients, along with carefully reviewing each patient’s medical records and current prescriptions. He tailors his recommendations to each patient’s medical history, age, and lifestyle needs. If you are new to medical marijuana, his friendly office staff will be there to help you get your medical card and guide you through the whole process. The office also offers a simple, annual price plan of $250, which covers your initial treatment recommendations, all order authorizations for 12 months, the state required recertification visit and access to staff for dosing guidance. We know that finding the right treatment for seizures is difficult, and we are here to help. Contact us today for an appointment.